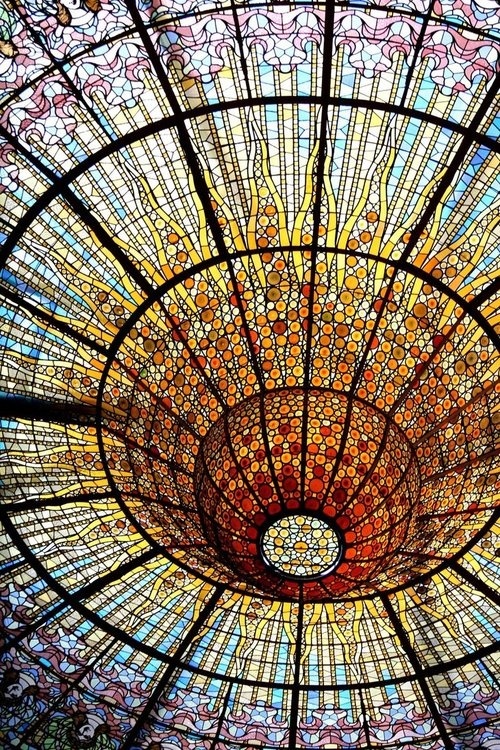 The Palau de la Música Catalana is a concert hall in Barcelona. Designed in the Catalan modernista style by the architect Lluís Domènech i Montaner, it was built between 1905 and 1908 for the Orfeó Català, a choral society founded in 1891 that was a leading force in the Catalan cultural movement that came to be known as the Renaixença (Catalan Rebirth). It was inaugurated February 9, 1908.